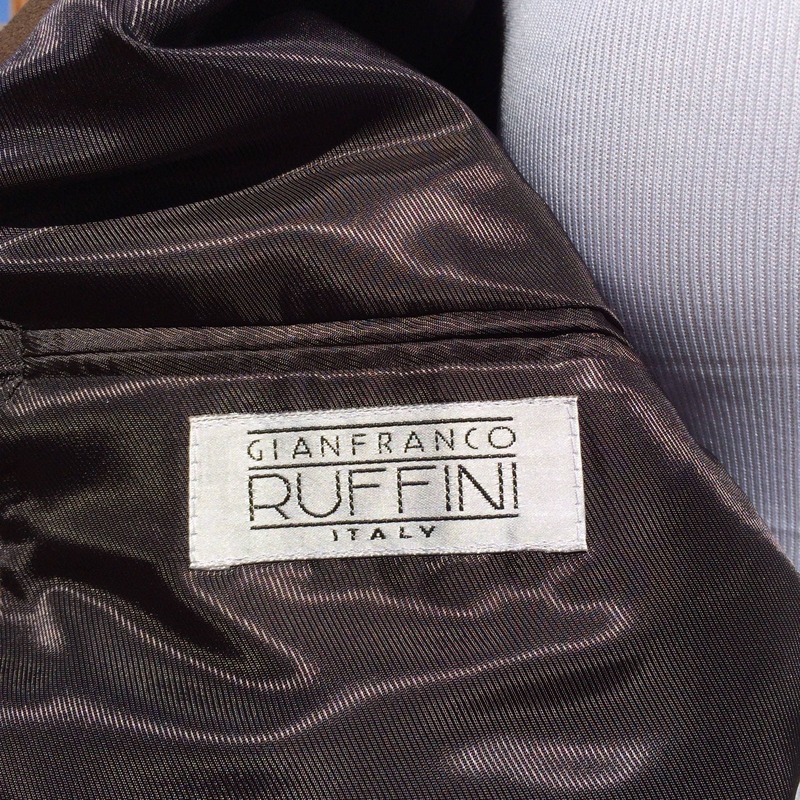 Gianfranco Ruffini Italy Polyester Suede Jacket,Size 44R. 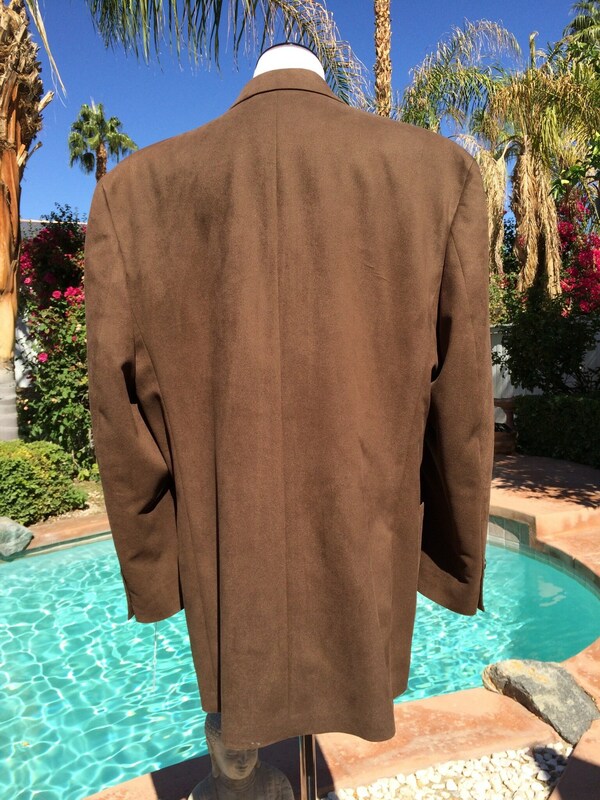 This is a wonderful brown polyester suede jacket with 2 inside pockets,2 side pockets and a three button enclosure. 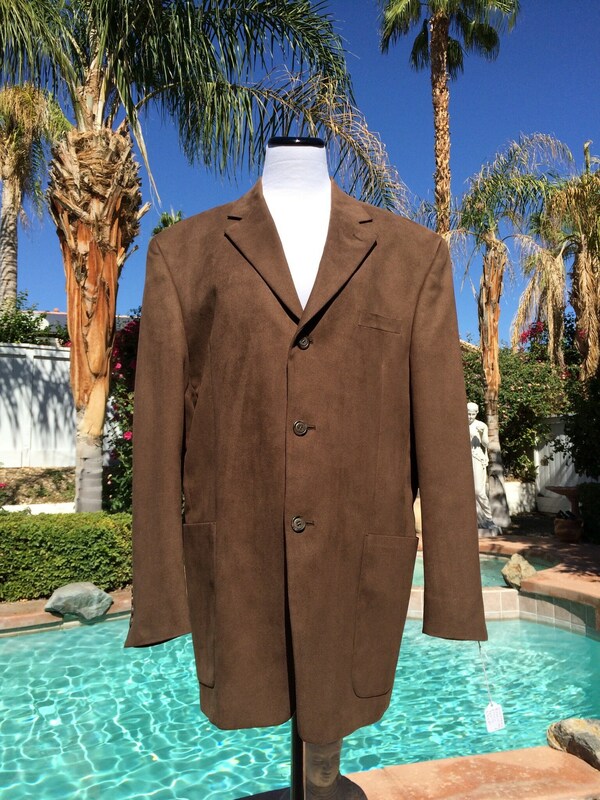 Label reads Gianfranco Ruffini Italy,100 % polyester suede,size 44 R.This jacket is in very good/excellent vintage condition and a rich brown color perfect for fall. 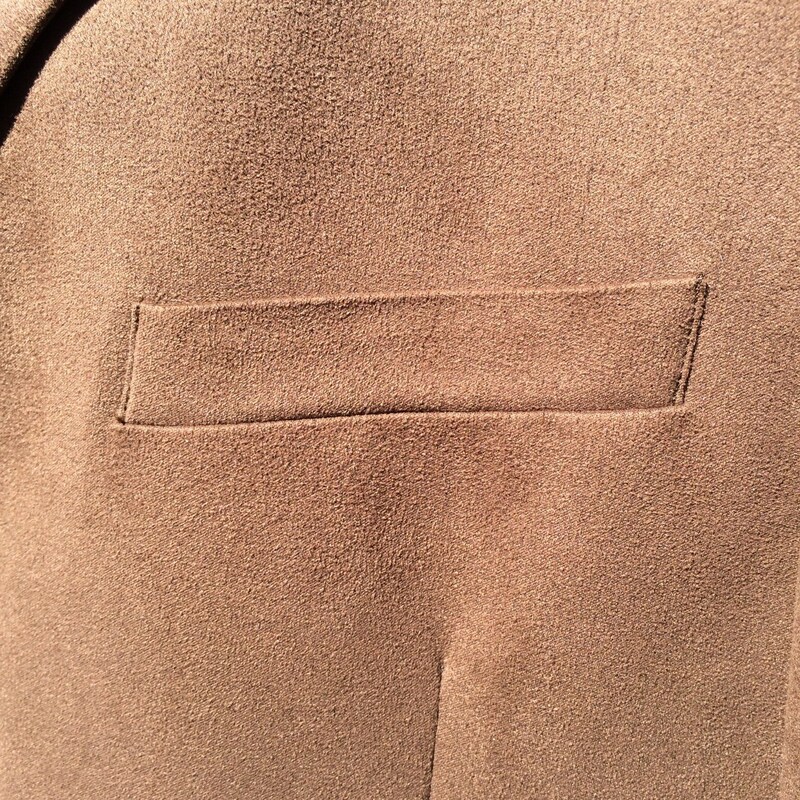 Length from shoulder seam 31 in.